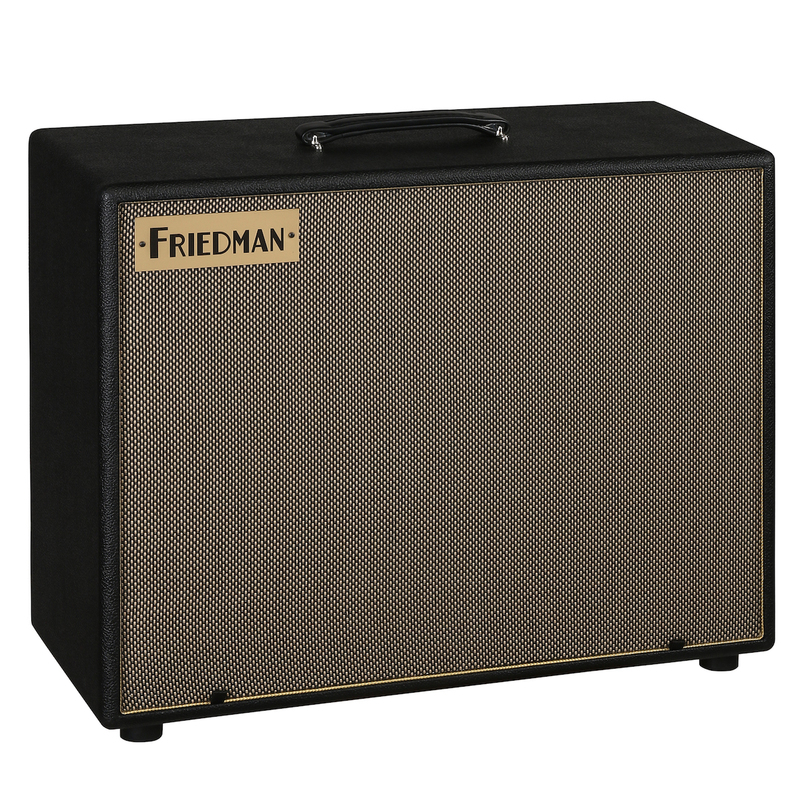 Friedman ASC-12 Monitor > Friedman Amplification > Diffusion Audio Inc. 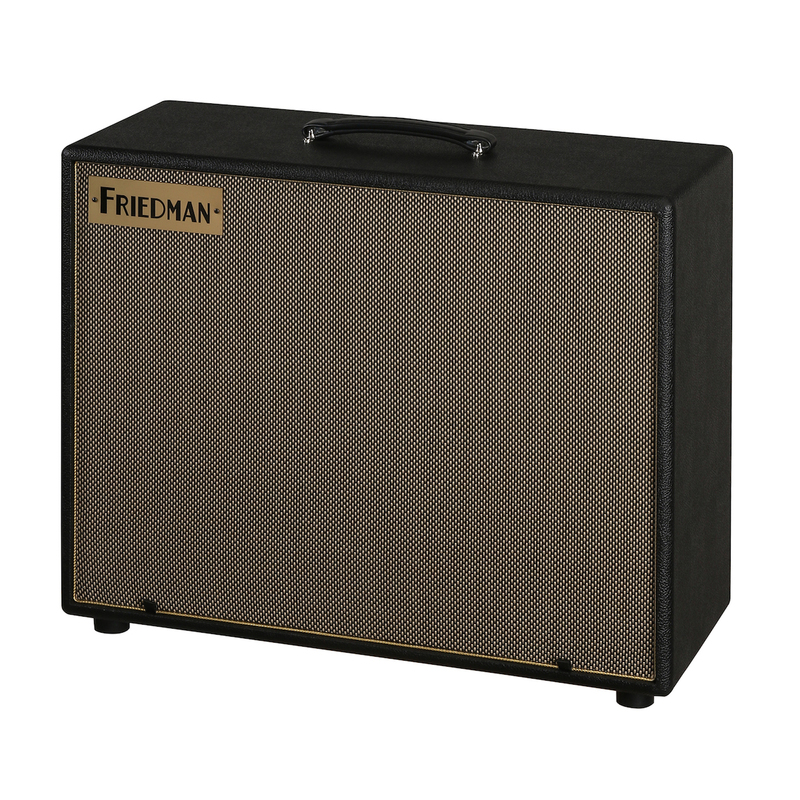 The ASC-12 features a Celestion 12" loudspeaker with a 2.5" edge wound voce coil and a premium Celestion high frequency compression driver. 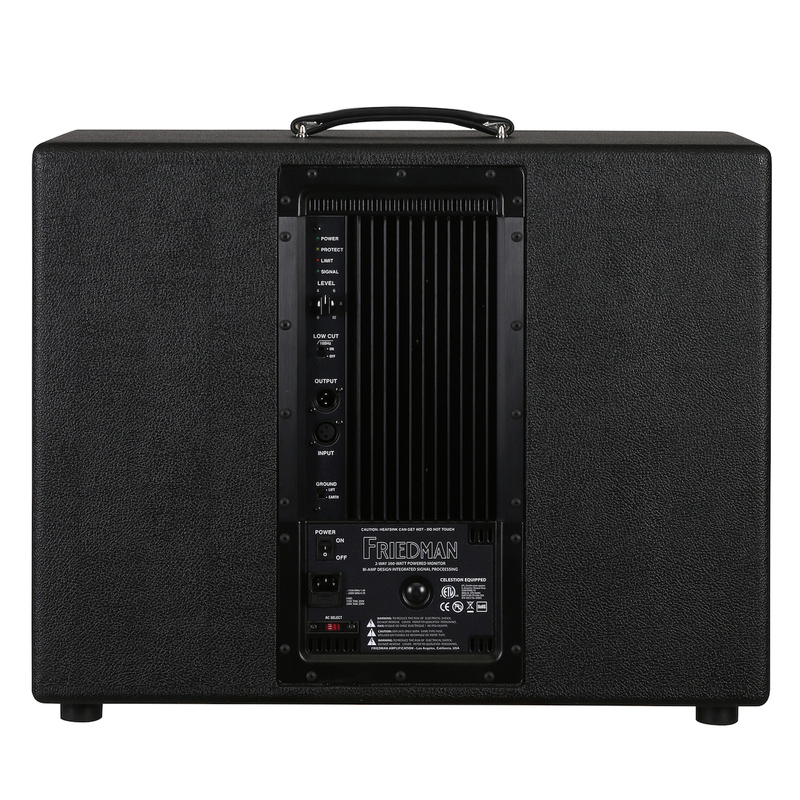 At the heart of the ASC-12 is a robust 500w Bi-Amp, Class-G amplifier that is anything but digital. 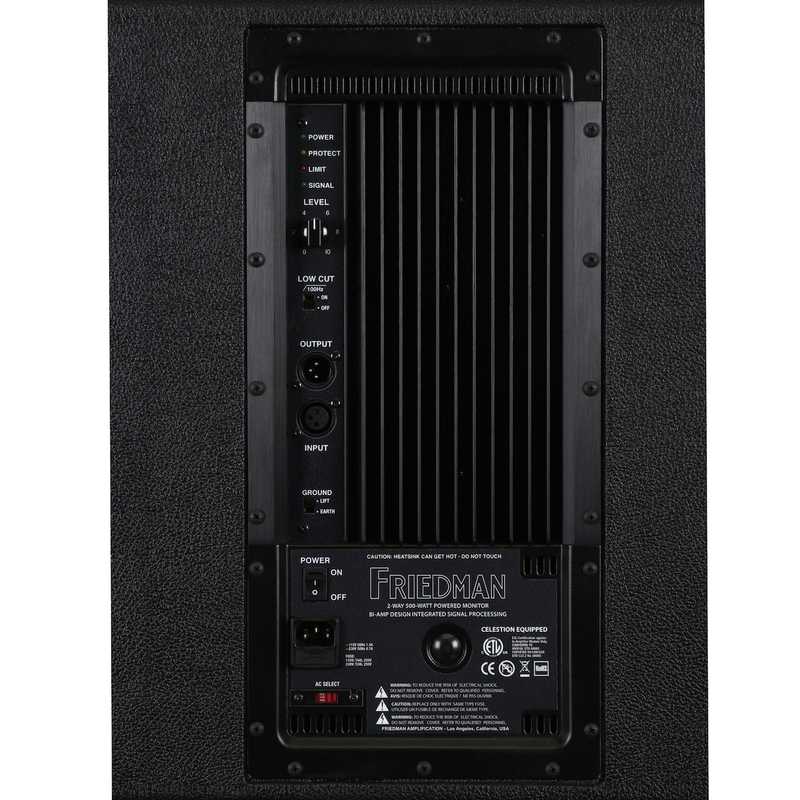 This proprietary amplifier design delivers rich, full tone and a wide frequency response making it ideal for backline and stage monitoring. Key features include: Bi-Amp power module with high efficiency Class G low frequency amplification with a high current output stage and custom signal processing; clip/limit, thermal, and short circuit protection; line level output for linking multiple speakers; optimized acoustic designs using a PETP film compression driver diaphragm; heat vented low frequency loudspeaker; and a hand crafted in the USA, sturdy Baltic birch construction. 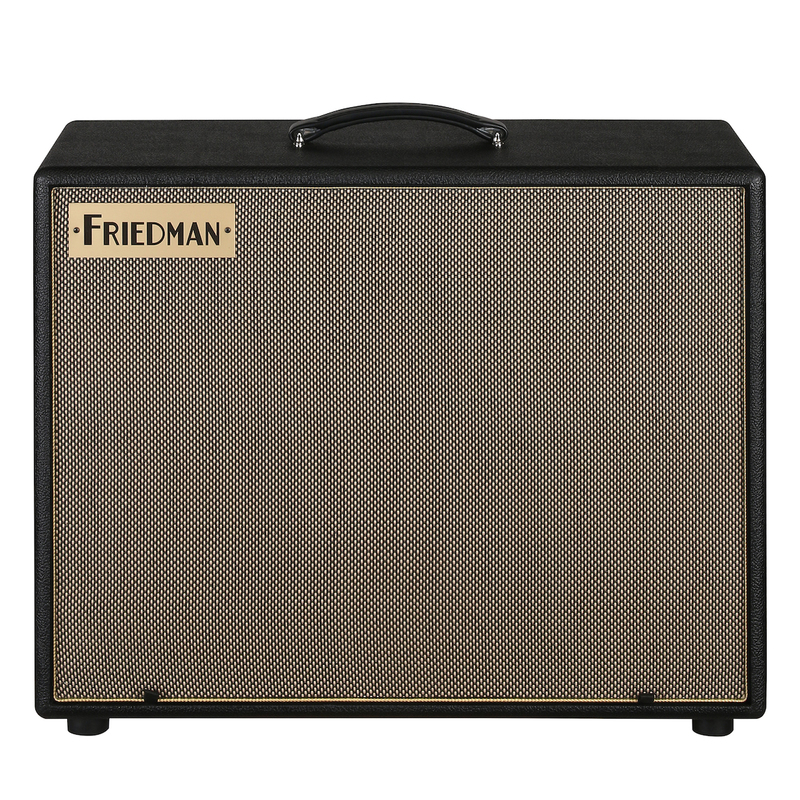 Controls include level knob, low-cut filter switch, ground lift and power switches. 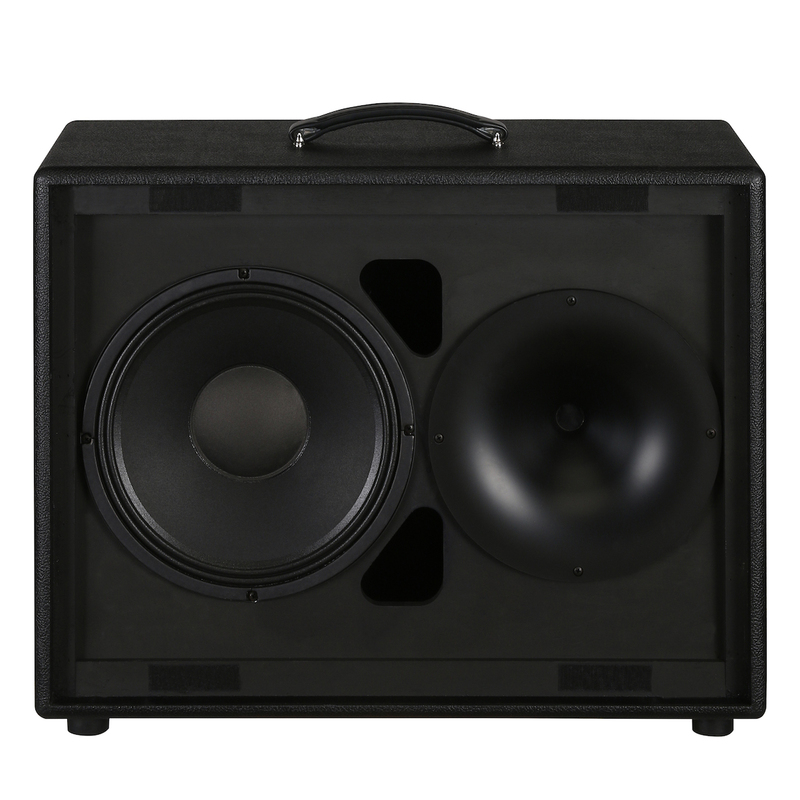 The ASC-12 was designed to operate on the floor as a stage monitor or to be pole mounted on a 1 1/2" diameter speaker stand. 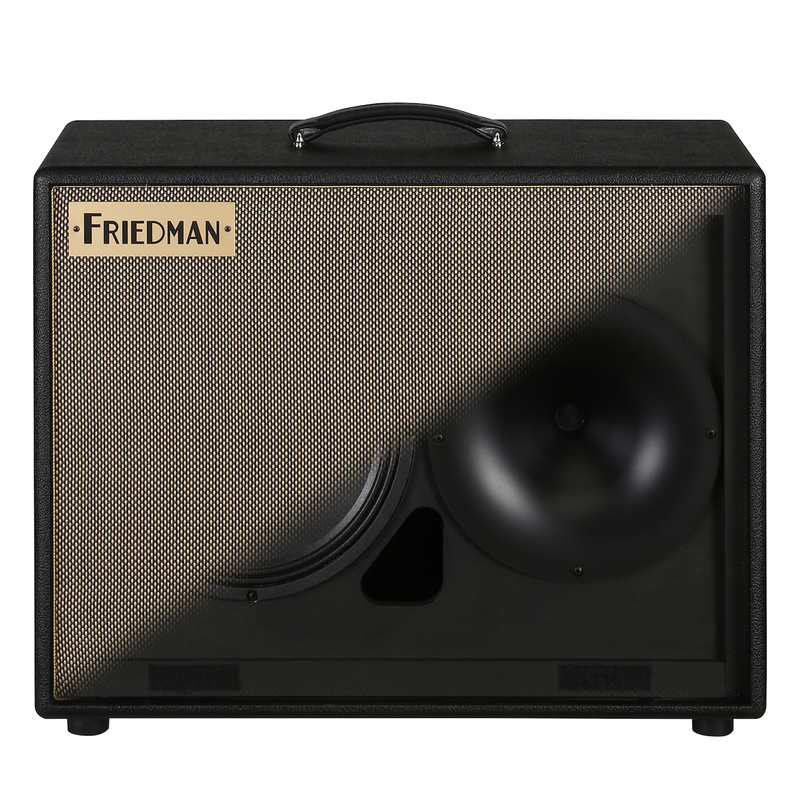 The Friedman ASC-12 powered loudspeaker was designed using advanced acoustic and audio techniques with premium components, comprehensive protection circuitry, and robust construction to withstand the abuse of the road and provide years of consistent, reliable performance.